The JSON Models Example demonstrates loading and displaying more than one JSON model and more than one texture. 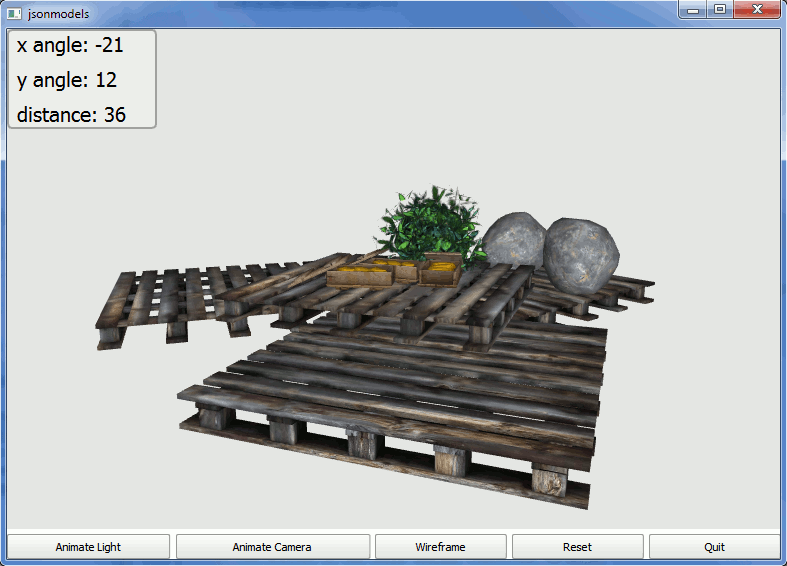 It also implements simple mouse input handling to allow rotating the scene and zooming into it. The ThreeJSLoader.js includes a reimplementation of the JSON parser in three.js, but we will not go into its implementation details.